It won't spare you the sweat, but carnitine could make it even more worthwhile by ramping up the anabolic and shutting down the catabolic signals. Until 2006 l-carnitine has been known as a fat-burner, an in-effective fat-burner and an expensive and pretty useless supplement (depending on whom you were asking). Then, in July 2006, Kraemer et al. published a paper (a human study, above all!) in the journal Medicine & Science in Sports and Exercise a consequential paper so to say; a paper in which the authors report that l-carnitine l-tartrate supplementation at a dosage of 2.933g/day (this amount of LCLT contains 2g of pure carnitine) led to a statistically significant increase in androgen receptors in the vastus lateralis after a heavy resistance training protocol in previously strength trained male subjects (Kraemer. 2006). Despite the fact that the concomitantly elevated post-workout luteinizing hormone levels (+19%) Kreamer et al. 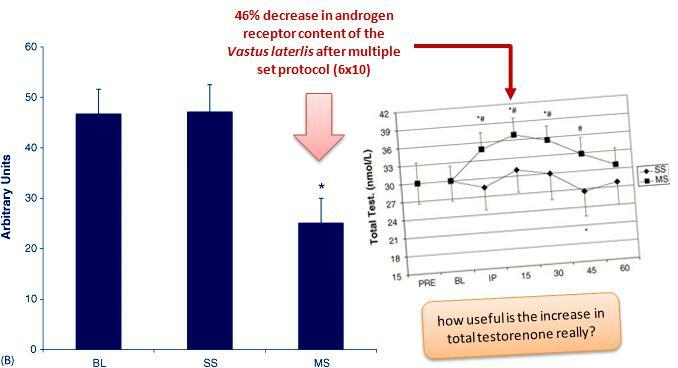 observed would tell you that the testosterone that would have been necessary to activate those receptors was already on its way, I have never considered this study as convincing evidence of the anabolic prowess of l-carnitine. Plus, let's be honest, differences in whatever serum markers in response to an acute bout of resistance training have failed us way too often, not to look at studies like these with appropriate skepticism. That the same principle of "calm down and don't get too excited over the results of a single trial" does all the more apply to rodent studies should be self-evident and still, science is all about taking each and every experimental result into account to form a theory that can explain all of them, or, alternatively, is able to bust short-comings in previous studies that don't comply with the predictions of the respective theory. Now, the soon-to-be-published paper by Janine Keller and her colleagues from the University of Giessen (Germany) certainly qualifies as part of the evidence we simply cannot ignore, when we are looking for evidence in support of the theory that l-carnitine could be an overlooked muscle builder or repartitioning agent. After all, their observation of decreased levels of the proteolytic (=catabolic) MuRF1 protein, as well as the ubiquitin-protein conjugates, which are increased in catabolic states such as starvation and atrophy denervation (cf. Wing. 1995) , alone, would signify that l-carnitine could make a valuable addition to everybody's supplementation regimen. Lower catabolism + increased anabolism = ??? These results do yet not stand in isolation as the ones by Kraemer et al. still do. Other recent studies by the same research group in Giessen, as well as colleagues from the University of Barcelona have already confirmed the anti-catabolic effects of l-carnitine in piglets and a cancer cachexia model in rodents, respectively (Keller. 2012; Busquets. 2012). "And you are telling me that works in humans, as well? " What's the best form of carnitine to take to elicit these effects: I knew you would ask this, so I react to two facebook questions by adding this red box willingly admitting that I just cannot tell you what the best form of carnitine is. There simply is no study that would compare e.g. acetyl-l-carnitine (ALCAR) and l-carnitine l-tartrate (LCLT) in a scenario that would be relevant to the above question. What I can tell you though, is that it appears as if you were better off with LCLT than with ALCAR, if your goal is to top off your intra-muscular carnitine levels. That being said, even normal creatine can do that - you will just have to take more of it. If you are looking for more information you can check out the part of the Amino Acids for Super Humans Series that's dealing with "the carnitines", here. In this context it does yet also have to be mentioned that the effects of l-carnitine are at least in part species specific. How we know that? Well, in contrast to the said study by Basquets et al. the provision of an carnitine to piglets (Keller. 2012) did not only reduce the MuRF-1 expression, but also the level of its likewise catabolic E3 ligase cousin atrogin-1. With pigs usually being a superior model of the human physiology, this would suggest that the anti-catabolic effects l-carnitine could have on humans are probably more, not less pronounced than those that were observed in previous rodent studies. Whether the same goes for the IGF-1 response cannot be said, but just like the anticatabolic effects, the pro-anabolic increase in IGF-1 has been observed in previous trials, including a human trial by Di Marzio et al. who observed a significant increase in IGF-1 in HIV patients in response to the provision of 3g/day of acetyl-l-carnitine (Di Marzio. 1999). In the absence of the existing evidence from animal studies, these results would yet have little significance for healthy human beings, whose growth hormone and IGF-1 levels are not rock bottom to begin with (Viganò. 2003). Bottom line: Irrespective of the absence of human data on the IGF-1 boosting effects from non-HIV patients - or even better in training scenarios - it would warrant future studies if an adequate amount of carnitine in the diet can exert beneficial effects in non-obese human beings. For the "sedentary", or let's rather say non-exercised rodents in the study at hand, the latter was a mere fat loss effect - despite the elevations in p-AKT, m-TOR, IGF-1 and the overall more "anabolic" state the rodents were in their lean body mass was not increased compared to their peers on the low carnitine diet. The lean-to-total mass ratio of the rodents, on the other hand was ~7% higher in the rodents in the high carnitine group. If we do however take into consideration that most of you will not be vegetarians and thus not similarly carnitine deprived as the rodents in the control group on the <1mg/kg carnitine diets, it is highly questionable if the addition of the human equivalent of the 1.25g/kg chow, i.e. 15mg/kg body weight (HED) would actually yield any measurable benefit to non-vegetarians - irrespective of whether they train or not. After all, even the average omnivore human being consumes 100-300mg of carnitine per day (Broquist. 1994), so that the difference between your basal carnitine intake and the supplemental equivalent dose of 1050-1500mg/day is more than 100x lower than the exorbitant difference between the low (if not deficient) carnitine diet in Keller's rodent study at hand (remember: the basal diet had less than 1mg/kg chow; the supplemented diet hat 1250mg/kg diet!). Broquist HP. Carnitine. In Shils ME, Olson JA, Shike M (eds): "Modern Nutrition in Health and Disease." Malvern, PA: Lea & Febiger, 1994. 459– 465. Burke LM, Castell LM, Stear SJ, Rogers PJ, Blomstrand E, Gurr S, Mitchell N, Stephens FB, Greenhaff PL. BJSM reviews: A-Z of nutritional supplements: dietary supplements, sports nutrition foods and ergogenic aids for health and performance Part 4. Br J Sports Med. 2009 Dec;43(14):1088-90. Busquets S, Serpe R, Toledo M, Betancourt A, Marmonti E, Orpí M, Pin F, Capdevila E, Madeddu C, López-Soriano FJ, Mantovani G, Macciò A, Argilés JM: l-Carnitine: An adequate supplement for a multi-targeted anti-wasting therapy in cancer. Clin Nutr. 2012;31:889–895. Di Marzio L, Moretti S, D'Alò S, Zazzeroni F, Marcellini S, Smacchia C, Alesse E, Cifone MG, De Simone C. Acetyl-L-carnitine administration increases insulin-like growth factor 1 levels in asymptomatic HIV-1-infected subjects: correlation with its suppressive effect on lymphocyte apoptosis and ceramide generation. Clin Immunol. 1999 Jul;92(1):103-10. Glass DJ: Signalling pathways that mediate skeletal muscle hypertrophy and atrophy. Nat Cell Biol. 2003; 5:87–90 . Kraemer WJ, Spiering BA, Volek JS, Ratamess NA, Sharman MJ, Rubin MR, French DN, Silvestre R, Hatfield DL, Van Heest JL, Vingren JL, Judelson DA, Deschenes MR, Maresh CM. Androgenic responses to resistance exercise: effects of feeding and L-carnitine. Med Sci Sports Exerc. 2006 Jul;38(7):1288-96. Keller J, Ringseis R, Koc A, Lukas I, Kluge H, Eder K: Supplementation with l-carnitine downregulates genes of the ubiquitin proteasome system in the skeletal muscle and liver of piglets. Animal. 2012;6:70–78. Keller J, Couturie A, Haferkamp M, Most E, Eder K. Supplementation of carnitine leads to an activation of the IGF-1/PI3K/Akt signalling pathway and down regulates the E3 ligase MuRF1 in skeletal muscle of rats. Nutrition & Metabolism. 2013; 10:28. Lösel D, Rehfeldt C. Effects of l-carnitine supplementation to suckling piglets on carcass and meat quality at market age. Animal. 2013 Mar 11:1-8. Salama AF, Kasem SM, Tousson E, Elsisy MK. 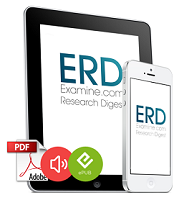 Protective role of L-carnitine and vitamin E on the testis of atherosclerotic rats. Toxicol Ind Health. 2013 Feb 13. Viganò A, Mora S, Brambilla P, Schneider L, Merlo M, Monti LD, Manzoni P. Impaired growth hormone secretion correlates with visceral adiposity in highly active antiretroviral treated HIV-infected adolescents. AIDS. 2003 Jul 4;17(10):1435-41. Wing SS, Haas AL, Goldberg AL. Increase in ubiquitin-protein conjugates concomitant with the increase in proteolysis in rat skeletal muscle during starvation and atrophy denervation. Biochem J. 1995 May 1;307 ( Pt 3):639-45.